“Flight of the Butterflies” will show through April 12 at the Gulf Coast Exploreum Science Center, IMAX Dome Theater, 65 Government St. Showtime will be Tue – Fri, 10 and 11 a.m., noon, 1, 2 and 3 p.m.; Sat, 10 and 11 a.m., noon, 1, 2, 3 and 4 p.m.; Sun, 1, 2, 3 and 4 p.m. Contact: 251-208-6873/ www.exploreum.com. On display: 20 over 60, Some Of My Trains Of Thought and What’s Your Sign? Three exhibitions — drawings, paintings and collages by Lynne Weeks’ students at Via; photographs of trains (model and actual) by Joaquin M Holloway; and works in a variety of media by six MAC artist members born under Capricorn will be on display from 6 to 9 p.m. at the Mobile Arts Council, 318 Dauphin St. The exhibition will be through Jan. 31. Mon – Fri, 9 a.m. – 5 p.m. Contact: 251-432-9796. www.mobilearts.org. An exhibition of works by Todd Duren inspired by “Alice In Wonderland” will be on display at the Alabama School of Mathematics and Science, Gallery, 1255 Dauphin St., through Jan. 24. Mon- Fri, 10 a.m.- 4 p.m. Works include puppets, prints, mobile sculptures and an illustrated version of the entire book. Peter Fletcher will perform a program including works Bach’s “Jesu, Joy of Man’s Desiring,” Mompou’s “Suite Compostelana” and Paganini’s “Caprice 24” at 6 p.m. at the Orange Beach Senior Activity Center, 26251 Canal Road, Orange Beach. Tickets are $6 and available at Orange Beach Public Library, 26267 Canal Road. Contact: 251-981-2923. www.orangbeachlibrary.org. The film will show at the Crescent Theater, 208 Dauphin St., at 2, 6 and 8:30 p.m. “August: Osage County” tells the dark, hilarious and deeply touching story of the strong-willed women of the Weston family, whose lives have diverged until a family crisis brings them back to the Midwest house they grew up in, and to the dysfunctional woman who raised them. Contact: 251-438-2005. www.crescenttheater.com‎. Photography exhibition featuring Mike Carmichael and Eddie Erdman as well as work by 60 other area artists will be on display at Cathedral Square Gallery, 612 Dauphin St., during the following times: Tue – Sat, 11 a.m. – 5 p.m.; Sun 11 a.m. – 3 p.m. Contact: 251-694-0278. Cyrano de Bergerac will be performed Fri and Sat, 8 p.m. and Sun, 2 p.m. at the Joe Jefferson Playhouse, 11 S. Carlen St. Adults/ $20; senior citizens and military/ $15; students/ $10. Contact: 251-471-1534. www.joejeffersonplayers.com. Deborah Johnson will be discussing her book “The Secret of Magic” at noon at Fairhope Public Library. The event is free. Bring your lunch or call the store to reserve lunch from Andree’s for $10. Evening includes pre-play entertainment, unlimited wine bar, dinner by Ron’s Catering and a mystery/comedy performed by the Mobile Mystery Dinner Players. The evening kicks off at 7 p.m. at Via!,1717 Dauphin St. $59. Reservations required. Contact: 251-479-3212. www.mobilemysterydinners.com. Before thousands of fans pose for pictures with players during the Coca Cola Meet the Players event, they can enjoy several interactive displays, special activities and one-of-a-kind entertainment. The meet the players event is free and starts at 1:30 p.m. at the Mobile Convention Center. There are plenty of interactive displays from the New Orleans Saints, Under Armour, Coca-Cola and AT&T, plus games for the kids. And, after fans are finished meeting the players, they can stay and continue the fun as the Senior Bowl Experience goes until 7 p.m. www.seniorbowl.com. The Senior Bowl, the nation’s unique football game and football’s premier pre-draft event, annually features the country’s best senior collegiate football stars and top NFL draft prospects on teams representing the North and South, coached by the entire coaching staffs from two National Football League teams. The event will take place at 3 p.m. at the Ladd-Peebles Stadium. www.seniorbowl.com. The evening includes fine dining, live Celtic music, dancing, and a raffle with proceeds going to support the Alabama State Tartan fund. Semi-formal attire required (Suitable Scottish Attire, or tuxedo, or suit & tie for men. Suitable dresses for women.) Tickets are $50.00 for members and $60.00 for non-members. For more information info@scottishsocietyofmobile.org or Janie Daugherty at 251-490-2518 or janiedaugh@inbox.com. The Mobile Symphony under Conductor Scott Speck will perform a program of Leonard Bernstein classics on Sat, 8 p.m.; Sun, 2:30 p.m. at Saenger Theatre, 6 S. Joachim St. $20 – $65. Students K-12 free admission to matinee when accompanied by paying adult. Contact: 251-432-2010. www.mobilesymphony.org. 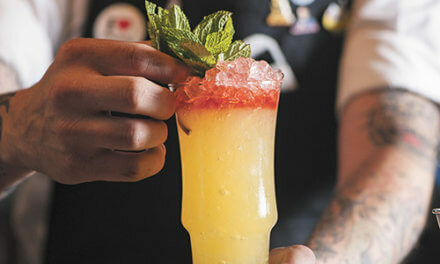 Alchemy Tavern, 7 S. Joachim St., will have Comedy Whatever for ages 21 and older at 10 p.m. The standup comedy performance costs $10. Contact: 251-441-7741. Artists at work, complimentary mimosas and works by more than 60 area artists on display from 11 a.m. – 3 p.m. at Cathedral Square Gallery, 612 Dauphin St.
From 1:30 – 3 p.m. the Mobile Public Library, Ben May Main Library, 701 Government St., will have Lego-Mania! for all ages. Children under six must be accompanied by an adult. Contact: 251-208-7086. www.mplonline.org. Award-winning writer, preservationist, and DIY expert Ron Tanner will be at the Ben May Main Library, 701 Government St., at 6:30 p.m. to offer a comic monologue about his funny, heart-warming book “From Animal House to Our House: A Love Story.” Combining romance with history and humor, Tanner tells the true story of how he and his wife bought condemned property — a wrecked former frat house — and restored it to its original Victorian splendor. Contact: 251-208-7097. Boss Nova Night will have music by Phil Proctor. The night, which is a production of MOJO (Mystic Order of the Jazz Obsessed), is part of a monthly series saluting significant figures in jazz. The events happen every fourth Monday at 6:30 p.m. at the Gulf City Lodge, 601 State St. Members/ $8; nonmembers/ $12; students & active military/ $7 (includes a light jambalaya dinner; cash bar). 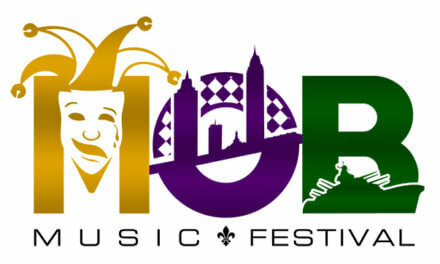 Contact: 251-459-2298. www.mojojazz.org. Students and adults are invited to share personal poetry or works by others at 6 p.m. at the Mobile Public Library, Toulminville Branch, 601 Stanton Road. The Port City Chapter of the USA National Alumni Association will host Sips for Scholarships from 5:30 to 7:30pm at Legacy Bar and Grill in Mobile. Join us at Legacy to enjoy red & white wines, beer, soft drinks, heavy hors d’oeuvres, desserts, live music and good conversation with fellow supporters of Jaguar Nation. Sips for Scholarships sells out every year! Purchase tickets now by calling Alumni Relations at 251-460-7084, or buy them online at http://sipstickets.com. Tickets are $45. If you would like to donate to the silent auction or become a corporate sponsor of this event, please contact Jessica Callahan at jcallahan@southalabama.edu or 251.460.7259. Corporate sponsors can donate at the $500, $250, or $150 level to be recognized on our Sponsor Board at the event. Thomas Rowell will perform a program including Franz Schubert’s “Winterreise” at 7:30 p.m. at the University of South Alabama, Laidlaw Recital Hall, 5751 USA Drive S. General/ $8; USA faculty, staff & students, youths under 18 and senior citizens/ $5 (cash or check only). Contact: 251-460-6136. www.southalabama.edu/music. Every Wednesday, enjoy a special program from 10:30 a.m. to 11:30 a.m. about Bellingrath Gardens and Home, gardening, local history and nature. Gardens Admission ($12.00 for adults & $ 6.50 for children 5-12) is charged for non-members attending programs unless otherwise listed. This week’s feature is Birding On The Gulf Coast with Dr. Mark LaSalle from the Pascagoula River Audubon Center.